One of my awesome friends Pamela was having a baby. I told her to look through my shop and see if there was anything she wanted, or to get an idea of what she might like. Shortly after I posted this little cutie and she immediately told me she loved it, and that it was the perfect match for her little man’s bedding. Yay! I packed it up and sent it off right away. 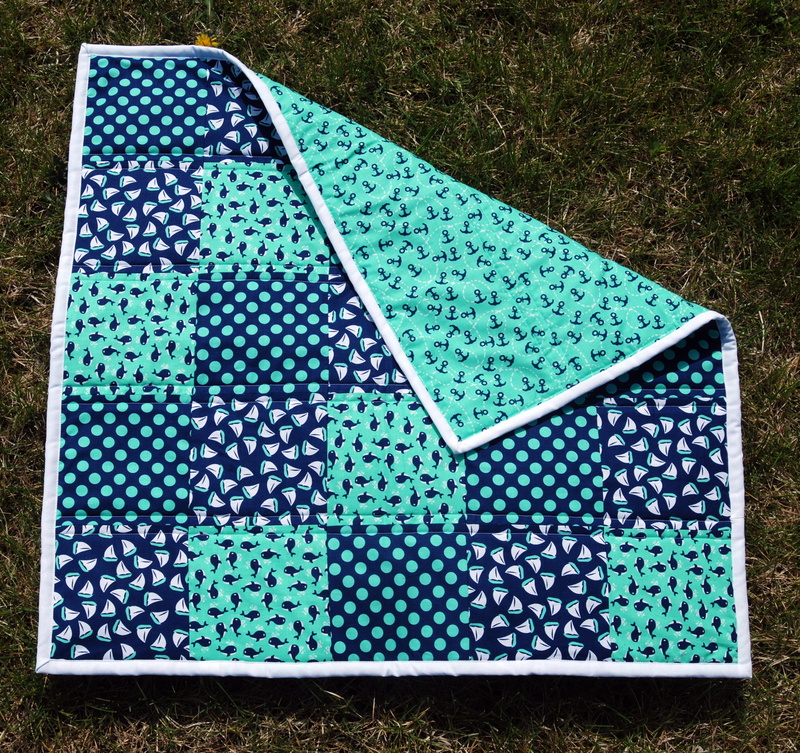 The fabric is from The Littles Collection by Michael Miller. 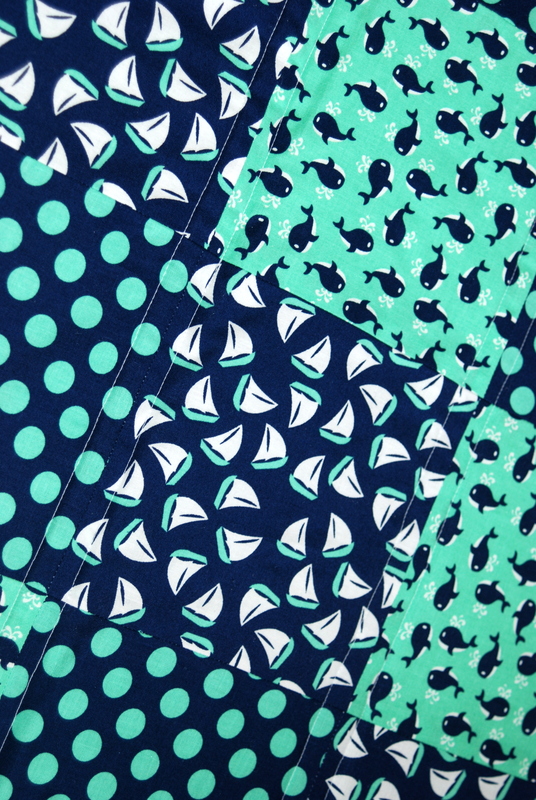 For the front I cut 6″ squares of the dots, sailboats, and whales prints and pieced them together. 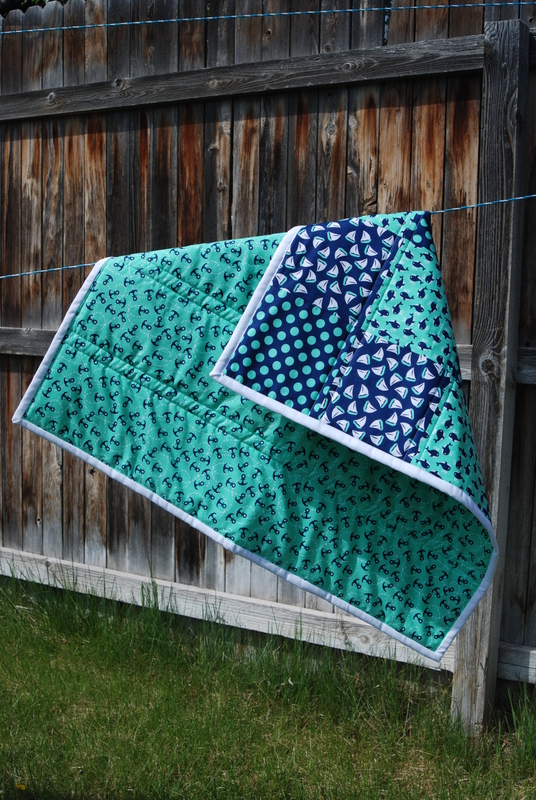 It is backed with the adorable anchors print, and I quilted it on either side of the seams vertically. 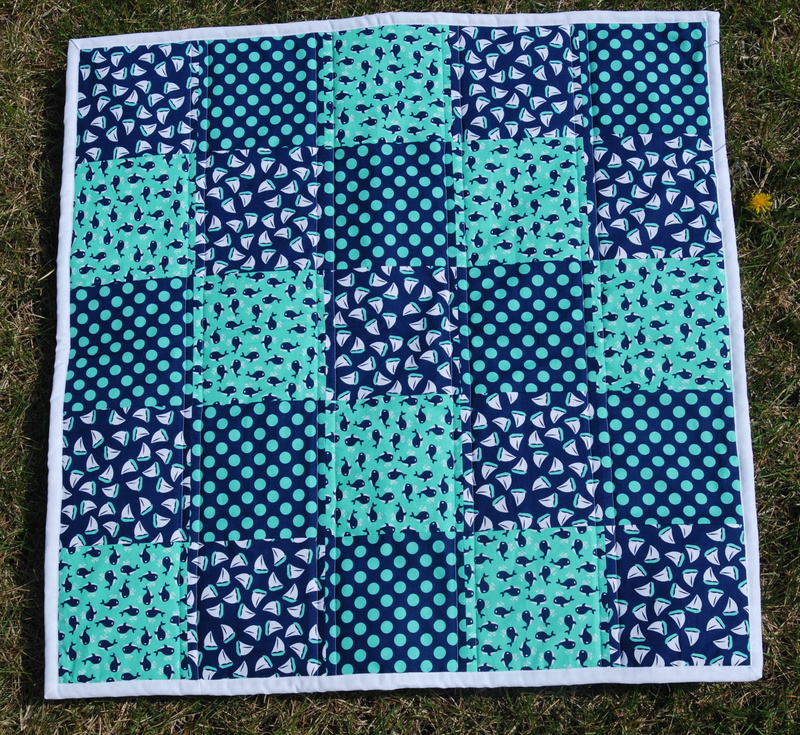 Of course if you turn it (there is really no right way for this quilt, it is a square after all) then I did it horizontally. I had a hard time deciding if I should bind it in navy or white, but ended up choosing white as I thought it would stand out a bit more. 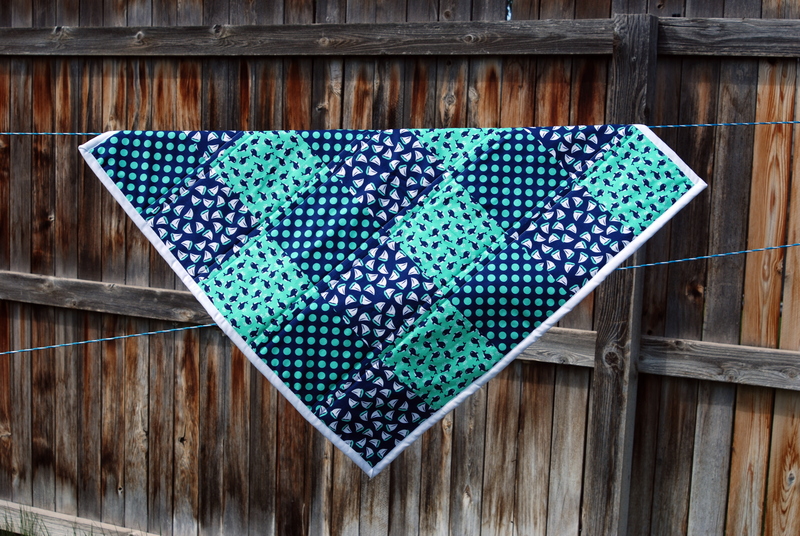 I hope you love it baby Jackson! 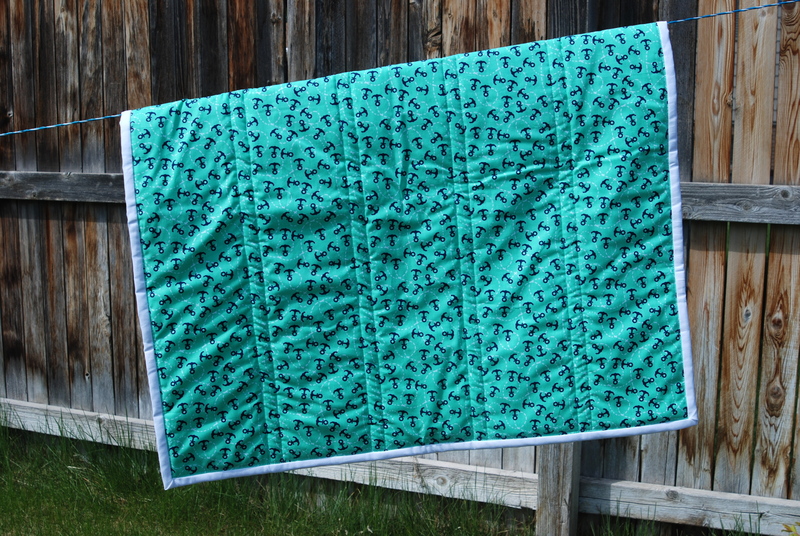 Swiss Quilt Raffle for Orphans!